Nobody ever plans or prays for an auto crash. These unfortunate circumstances happen unexpectedly and at odd times. The truth is that it is very difficult for things to go back to how they used to be after an auto accident. A lot is lost physically, mentally, socially, and financially. Relatives and close allies suffer as much as the victim and on many occasions, it leads to a permanent deformation of the person involved.All of us at Rawa Law Group know about the plight of victims of an auto crash and that is why we have consciously and deliberately built an effective system to secure a reasonable compensation for the trauma, pain, and agony these people go through. Car crash victims in West Covina can bank on us to fight on their behalf until they are compensated. 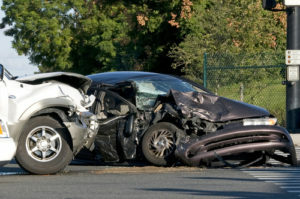 Our team of experts holds these cases by the scruff of the neck and the fact that we have won several similar cases in the past means that we have some of the best auto accident attorneys in West Covina for this kind of job. Our team also comprises a bench of lawyers with over twenty years experience and we aren’t too pricey. In fact, you do not have to pay a dime until we have won your case. Therefore, if you or someone you know have been a victim of a negligent car crash and would love to hire the best auto accident attorney in West Covina, tell such persons to reach out to us on the contact detail listed below.